Η ΕΙΚΟΝΟΓΡΑΜΜΑΤΗ και ΠΑΛΑΙΟΓΡΑΜΜΙΚΗ ΓΡΑΦΗ (από Μπουζάνη - Bouzanis K.): MYCENAE - LIONS GATE - An... invisible Inscription! 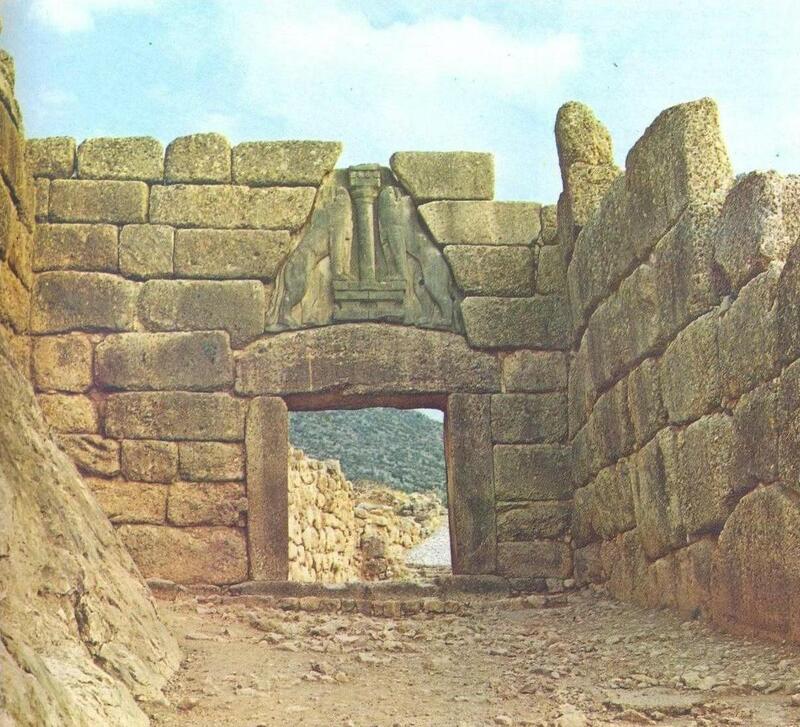 MYCENAE - LIONS GATE - An... invisible Inscription! 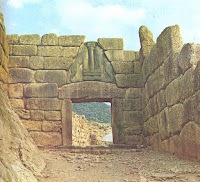 See the "invisible" and ... trilingual inscription on the lintel of the Lions Gate, of Cyclopean structures with concret*, on Acropoli of ancient Mycenae as it looked before 1970 and has been imprinted - more or less success-fully - on photos that adorn private collections, memorabilia, cards and related books. Convey... wisdoms in Athens! Get authenticate the existence of this unknown inscription carefully observing the lintel on Gate Lions from e.g. 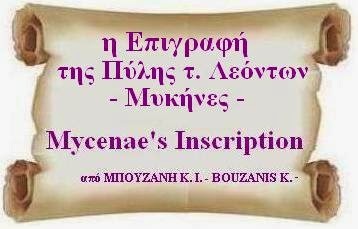 311 page, Α΄ volume of the History of Greek Nation, Athens Publishing S.A. and if you are slightly nearsighted and you do not often have hallucinations, after discarding any fraud, you draw it and through the int., without copyrights, you can to offer it for decryption! What says a inscription that stirs the ... Linear A and B, ... Ideograms (as in the Phaistos Disk) and the Egyptian ... (!) nobody serious scientist, and to "had see", she would not have imagined to deal! * of concrete are constructed the gigantic building materials of ancient forts, monuments, treasures - Pyramids, etc. of ancient world!